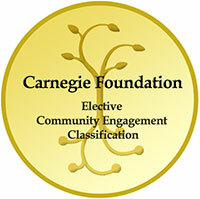 The Carnegie Foundation for the Advancement of Teaching has selected Wright State to receive its 2015 Community Engagement Classification. Welcome to the Center for Service-learning and Civic Engagement! What is service-learning and civic engagement? Campus Impact studies show that service-learning has been one of the largest area of growth in partnerships between higher education and community organization in recent years. Learn how to enroll in a service-learning course. Service-learning is a process in which an academic course includes student participation in meaningful community work that reinforces concepts in the individual course. Civic engagement is simply fulfilling your role as a citizen in your community and society through active participation with civic life. Engage with those communicates to enact positive change. 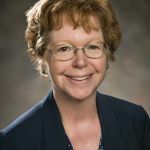 The Center for Service-Learning and Civic Engagement will be a catalyst for developing partnerships that have a mutually transformative impact on students, faculty, staff and the communities they serve through service-learning. 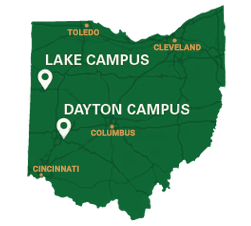 Wright State University students enrolled in a service-learning course will engage in meaningful community service paired with instruction and reflection, to enhance the learning process through achieving academic learning objectives, meeting community needs, and promoting civic responsibility. Subscribe to our newsletters and receive our monthly updates!